Just recently, I got in touch with a watchmaker by the name of Sampo from Finland. He mainly collects Omega watches from the 1950s and 1960s and works for one of the Omega Service Centers. His main interest goes into the Seamaster 300 watches, Railmasters and Speedmasters from that era. Only two years ago he decided to go vintage and sold his new watches and bought a beautiful Speedmaster 105.012-66, Speedmaster 105.003-63, a Ranchero CK2990, Railmaster 2914-1 and two Seamaster 300 CK2913 models. An incredible collection so far, but he recently added a Speedmaster CK2915 as well. 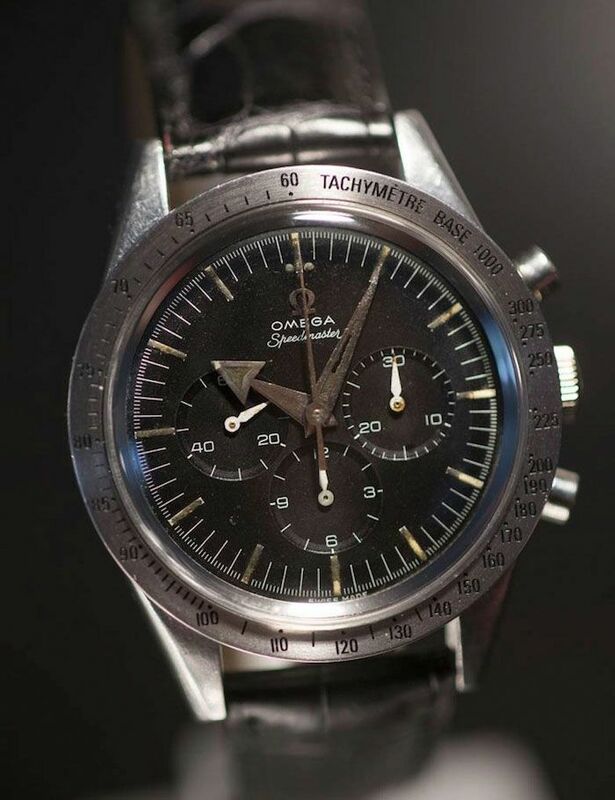 The very first Speedmaster from 1957. 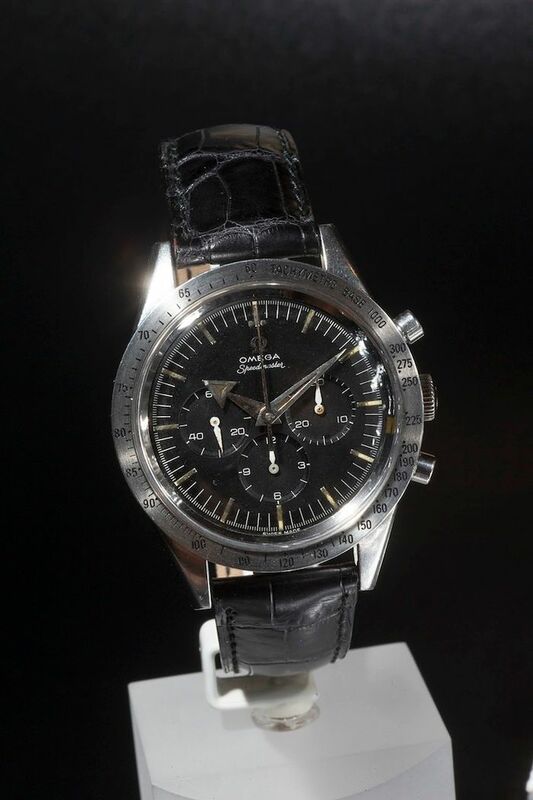 By coincidence, he found this Omega Speedmaster CK2915 for sale on a Finnish auction website. The photos were vague and very unclear, but he recognized the watch being a Speedmaster 2915 immediately. The Speedmaster 2915 was not in the best shape and needed some work. Since he is a watchmaker himself, he was able to do all the work himself. The biggest issue – as always with vintage pieces – is the sourcing of original and time-correct parts. As you can see, the bezel is not correct and probably will be hard to find. 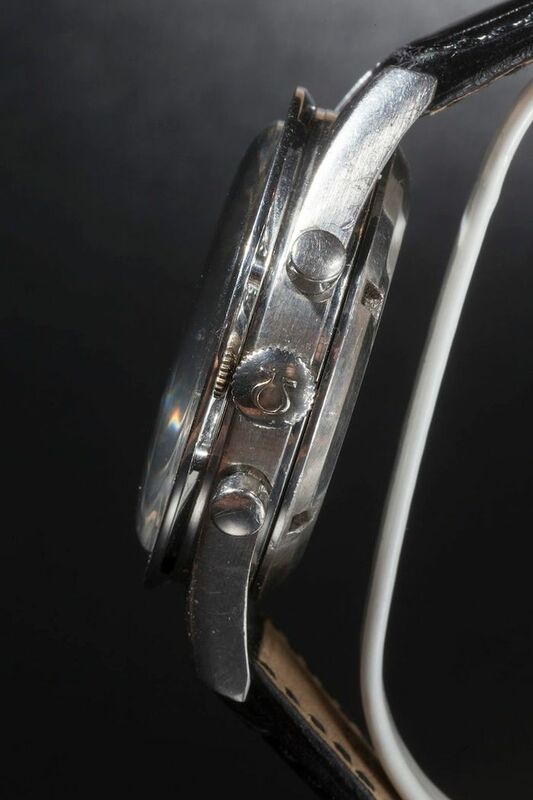 If you know about a spare bezel for Sampo’s CK2915 Speedy, please contact us. The dial of this watch was very nice as-is and didn’t need any work. The hands could need a relume but he is not sure if he should do so. It is easier to ruin a pair of CK2915 hands than to source a couple of replacements. He also sources a new old-stock crown from France and a new zero pusher from a box with spare parts from a colleague watchmaker. Inside, the renowned caliber 321 ticks at 18000 bph but does need some servicing. He has a bunch of caliber 321 parts in stock in order to service his fleet of caliber 321 chronograph watches for the next decades. 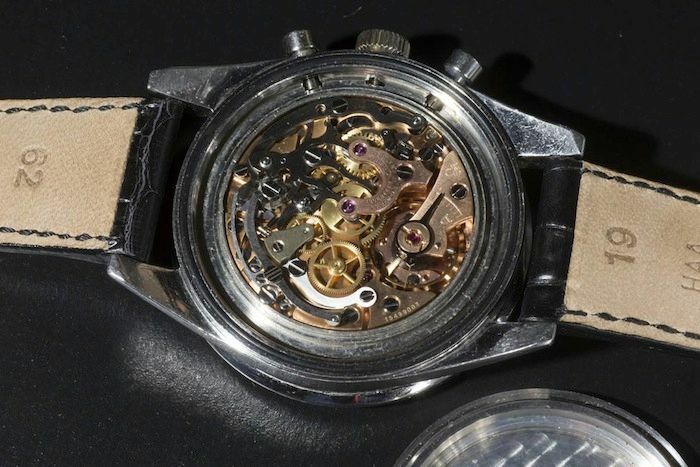 The movement will get a new main spring, center wheel, hour counting wheel and some other tiny parts that are usually worn out on these vintage caliber 321 babies. When this watch was introduced in 1957, it was first meant to be a watch for race car drivers, sports people and engineers who needed a chronograph to time some activities and events. There was no Moon program or tender for chronographs at NASA. Just a great looking sports watch. Designed by Claude Bailod at Omega and developed by Pierre Moinat and his team. 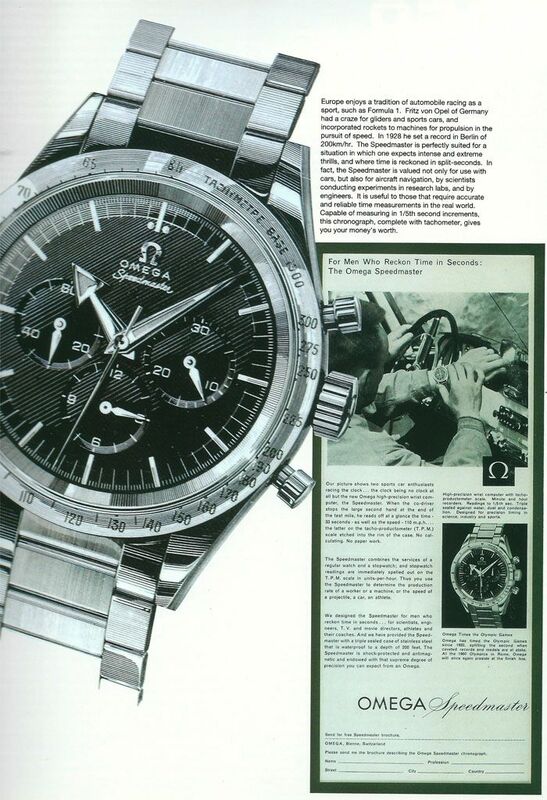 They probably never could have guessed the impact their watch would have on Omega as a brand or to the large number of Speedy enthusiasts out there. Capture from the book ‘A Time Capsule – Omega Speedmaster’ by Kesaharu Imai. The Omega Speedmaster CK2915 is the rarest ‘production’ Speedmaster ever, fetching prices that are out of this world for a stainless steel sports watch (Hodinkee found one for sale here). 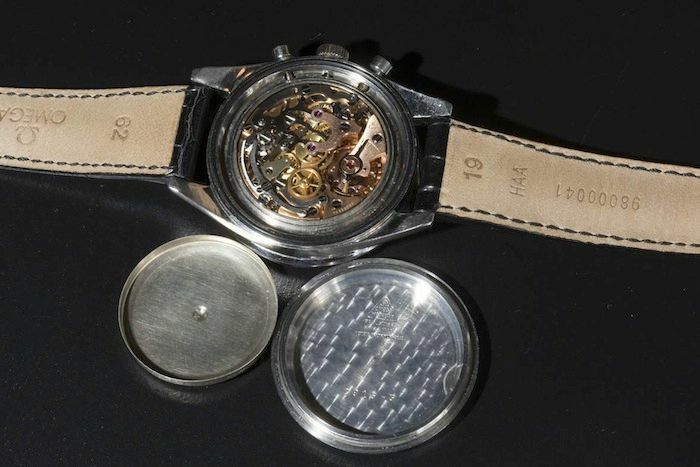 Only few of these watches withstood time and have been preserved by their owners. Most of them probably ended up in a bin in the quartz-era when they found their old Speedies needed expensive servicing or repair. Also, my guess is that the production number of the CK2915 Speedmaster must have been quite low compared to the later CK2998, 105.002 and early 105.003 models. The CK2915 Speedy was only in production for a short time, from 1957 to 1959. Its successor, the CK2998 (which we talked about a couple of times here, here and here) had undergone a few changes that made it look a bit more like the Moonwatch as we know it now. A black tachymeter scale bezel and white small hands a chronograph hand. Thanks to Sampi for contributing his Speedmaster CK2915 to Speedy Tuesday and his friend, Mr Pekka Nieminen shot the photos of his watch. Make sure to join our Speedy Tuesday page on Facebook! Lots of other Speedy enthusiasts and daily updates!